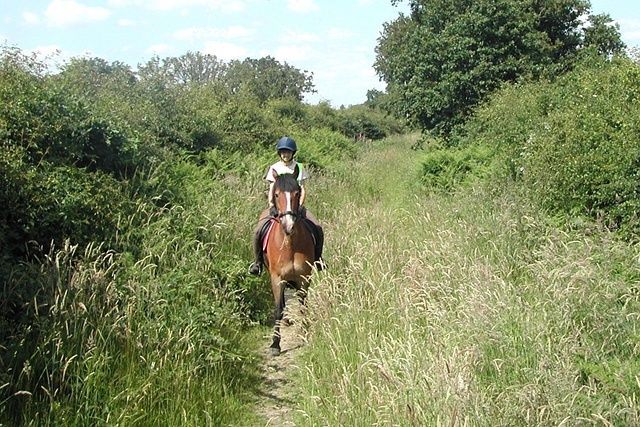 Horse and rider on 'Riseley Common Lane'. This application on behalf of the British Horse Society was made to Hampshire County Council under section 53(5) of the Wildlife and Countryside Act 1981 on 27 December 2013 to modify the definitive map and statement for the county of Hampshire by adding a restricted byway from the turning on the minor road known as the Devil's Highway near Barossa Farm at SU73626324, south-west and then south-south-west along an enclosed unsealed lane for a distance of 272 metres, to the turning on Mill Lane at SU73516300. 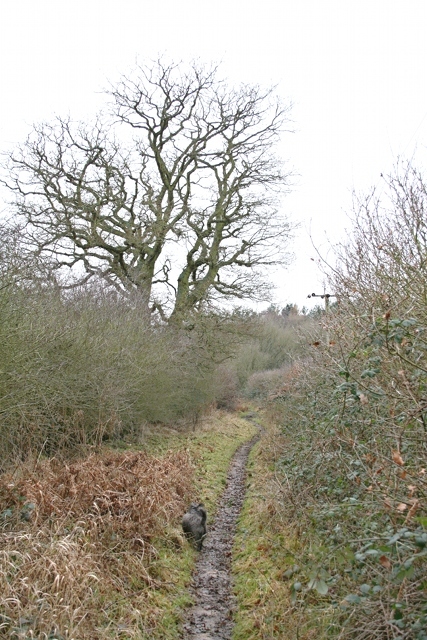 The application route is referred to in the application as 'Riseley Common Lane', but the historical name for the way is unknown (and there may be none). Download the application document summary (17MB) reduced file size (2MB). Status: application made on 27 December 2013 and accepted by Hampshire on 10 March 2014 and recorded in its register of applications as application 1139 ; likely to be reviewed in 2022. Representations made to Secretary of State on 24 June 2016 seeking a direction under paragraph 3(2) of Schedule 14 to the Wildlife and Countryside Act 1981. The Secretary of State on 21 July 2017 directed Hampshire County Council and Wokingham Borough Council to determine the application by 21 January 2018. Definitive map modification order made on 19 March 2018, closing for objections on 4 May 2018, confirmed on 25 May 2018. The way has now been added to the definitive map and statement for Hampshire. 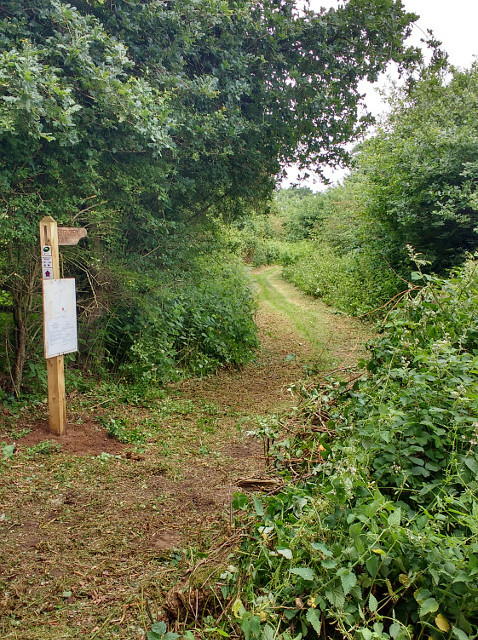 Route signposted and mown following confirmation of order (photo courtesy Hampshire CC).